Planned Giving is a process of charitable, legal, financial, and tax planning that enhances your philanthropy and enables you to address other financial and estate planning issues while making a gift. Planned gifts include life income plans (pooled income funds, annuities, and remainder trusts), as well as lead trusts, bequests, real estate, tangible personal property, closely held stock, life insurance, and gifts of a remainder interest in a home. Each gift option offers various benefits. The Planned Giving Office will be happy to assist you in exploring the various options and your personal benefits. Donors frequently think their only option is to make an outright gift of cash to their charity of choice. While this is a positive way to make your charitable gifts, there are a number of other ways for you to donate to charity. Planning your gifts is a way for you to take advantage of the tax, financial, and estate planning benefits of philanthropy. A planned gift can be made with almost anything: cash, stocks, bonds, mutual funds, real estate-even property such as artwork and royalties. If you would like more information with respects to any of these questions, or answers provided, please contact the Law School’s Planned Giving Staff. How do my heirs benefit? Your heirs can benefit tremendously from a planned gift. For instance, you can design a gift to pay income for life to you and your spouse. Also, a planned gift can reduce your estate tax liability. The assets that you transfer to Harvard Law School remain outside of your taxable estate. You can tailor your planned gift options to benefit your children and grandchildren. In addition, by involving your family in your gift, you can teach your children and grandchildren about your philanthropic values, and transfer those values to future generations. 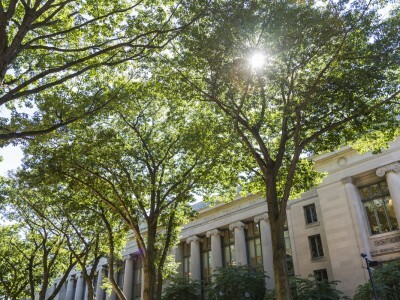 How does Harvard Law School benefit from a planned gift? Your gift can make a significant impact at Harvard Law School now and in the future, and you can choose to direct your gift to aid a specific area of the School. The Law School’s planned giving experts can assist you with the designation and legal language for the area(s) that you would like to support. Can I provide for other charities through a planned gift at Harvard Law School? Absolutely! At Harvard, there are certain planned gifts that provide you with the flexibility to benefit both the Law School and other causes. What does Harvard Management Company do? 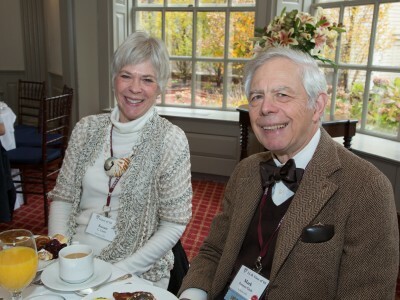 Harvard Management Company manages Harvard’s endowment and the life income plans and trusts that are donated to the University and to the Law School. Performance figures and other information are available from Harvard Management Company. Creating a detailed will is critical to ensuring that your estate will continue to yield benefits to your family and to the organizations that are important to you, and that your testamentary intent will be carried out. How do I name Harvard Law School in my will or living trust? How do I name Harvard Law School as a beneficiary in my retirement plan? Leaving your retirement plan or IRA (or a portion of it) to the Law School is a tax-wise gift. Naming Harvard Law School as the recipient of your retirement plan after your lifetime (or at the death of the survivor of you and your spouse) avoids all estate and income taxes on the plan assets. To make this gift, you can simply notify your plan’s administrator of your wish to add Harvard Law School as a beneficiary or to change the beneficiary to Harvard Law School. A “change of beneficiary” form will be required. Should you designate that your qualified retirement plan come directly to Harvard Law School at the end of your lifetime, your spouse will need to consent in writing to the designation. A written consent is not necessary for an IRA unless you reside in a community property state. If your spouse and children are currently the beneficiaries of your retirement plan, you can continue to keep them as beneficiaries, and also include the Law School as a beneficiary of a portion of the plan. The plan administrator can “cash out” the Law School’s share of the account at the end of your lifetime, without affecting your family’s portion of the account, so both the Law School and your heirs benefit from your retirement savings. What do I want to accomplish with my philanthropy? Before you start planning the details of your gift, think about the results you want to achieve. Perhaps you want to provide students in need with the same educational opportunities you received. Or maybe you are interested in a particular area of legal study such as international, environmental or constitutional law. Perhaps it is simply important to you to give back to an institution that had a profound impact on your life, or to involve your family in a charitable cause that they can nourish together for generations to come. Planned giving can help fulfill all of these objectives. Donors who provide for the Law School often do so because they are inspired by its influence on their own lives or the lives of others. When you consider your legacy, it is important to reflect on what is most important to you and what has made your own life successful. Is it the relationships you’ve formed? The education you’ve received? What values and advancements do you want to perpetuate for the next generation? How can I provide income for myself and someone else? As we grow older, many of us are responsible for the financial security of a spouse or even a parent. Planned giving arrangements can be designed to provide a reliable income not just for yourself, but also for a loved one. What are my income objectives? Perhaps you are interested in increasing your annual income. Or, maybe you are more interested in reducing taxable income. Both of these objectives can be fulfilled through a planned gift. What annual income do I need to live comfortably? As you consider your philanthropy, take into consideration your family’s annual income needs and the principal necessary to sustain that income. This can help you determine what type of gift will make the most sense. What is my next big life change? Our priorities change at each stage in our lives. When at the Law School, your priorities were most likely your studies and planning your future careers. If you have children, the priorities shift to providing for your family and saving for college. When you enter retirement, you need to think about ensuring that you have adequate health care and a steady, secure income. Planned giving fits into many of these life stages — consider talking with our experts about strategies that fit your circumstances. Are my family and heirs sufficiently provided for? This is a question to consider carefully. Some individuals feel they have adequately provided for their families already. Some do so through their wills and estates. Others have yet to think about this question.